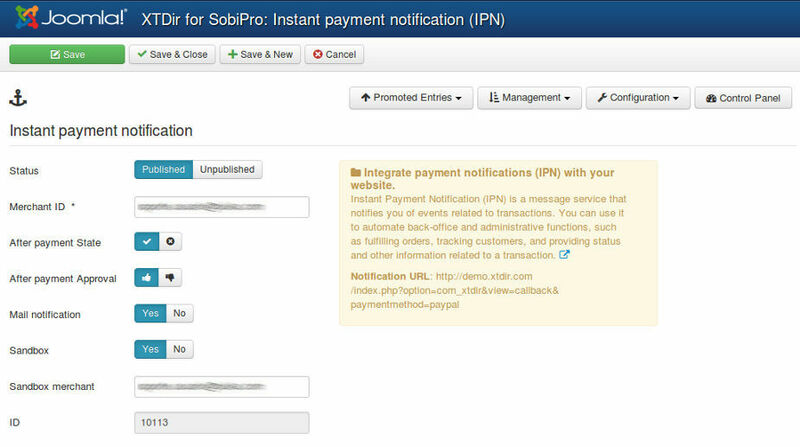 A Unique Solution to empower SobiPro!
" 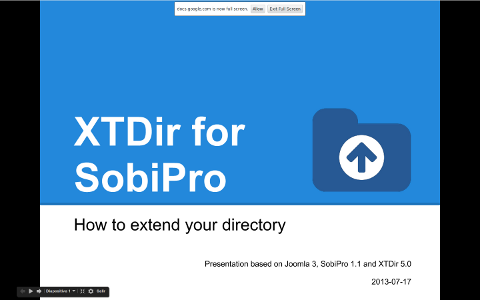 XTDir is a new extension to manage and extend SobiPro as never before! 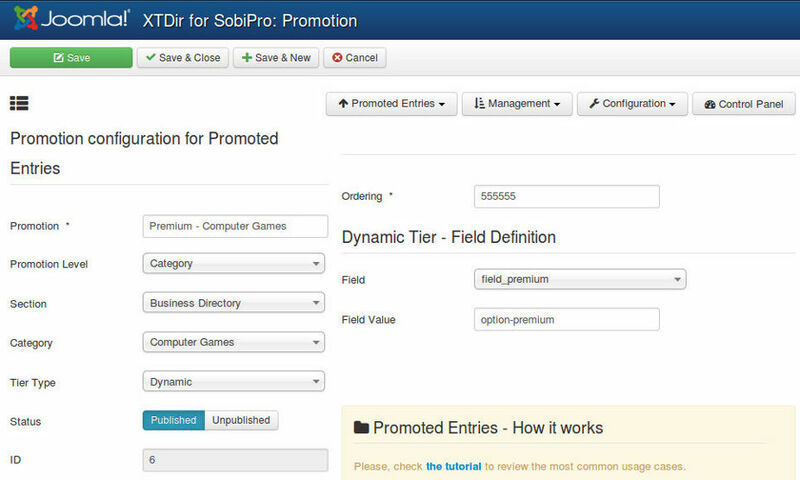 Manage, featured, and promote entries. Search modules, and more!" 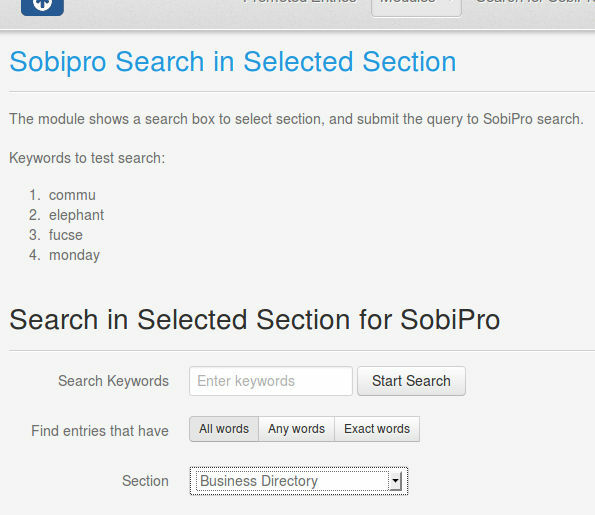 Built based on your feedback and our experience developing SobiPro extensions. 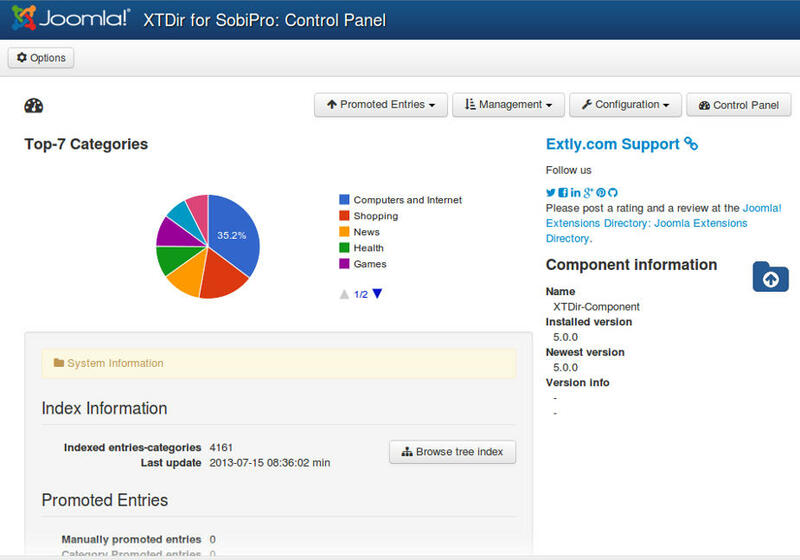 XTDir a single component, with a set of modules, plugins and SobiPro Apps & Fields, to add the most frequently requested SobiPro features. All configuration and management tasks are performed in a single administrative center. A powerful concept to feature entries, and organize an "Advertising Catalog". (Paypal paid orders are supported. Payplans and Akeeba Subscriptions are supported via User Groups). 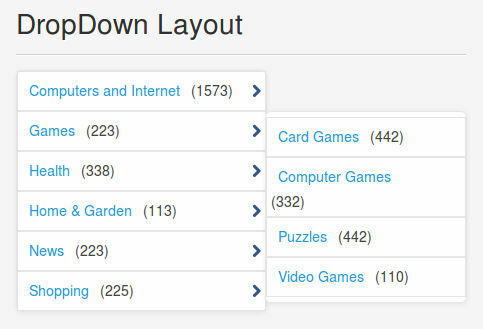 To master the art of catalog search, flexible search forms. Support for cookie form saving. Plus, Chained Categories Search control, native application to replace the original category select with a chained selects control. To incorporate faceted navigation or faceted browsing in your site, similar to Amazon search, allowing users to explore information by applying multiple filters. 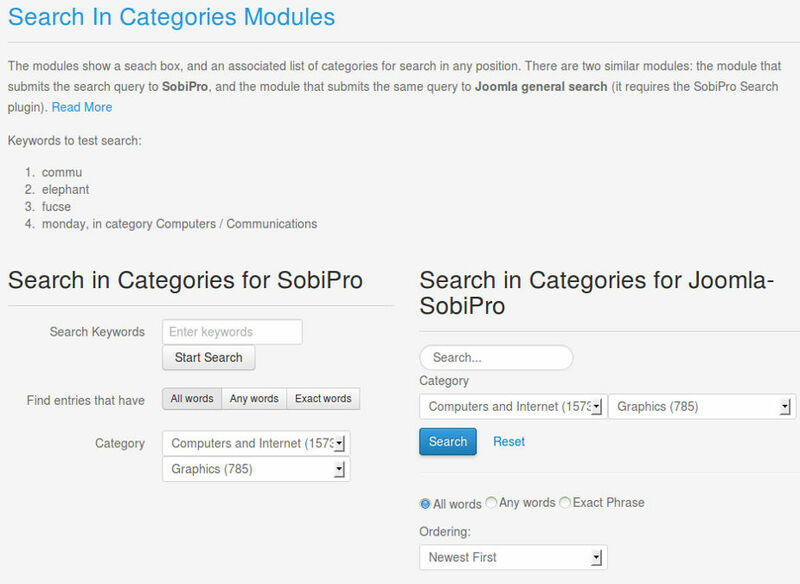 To integrate SobiPro catalogs in Joomla general search. 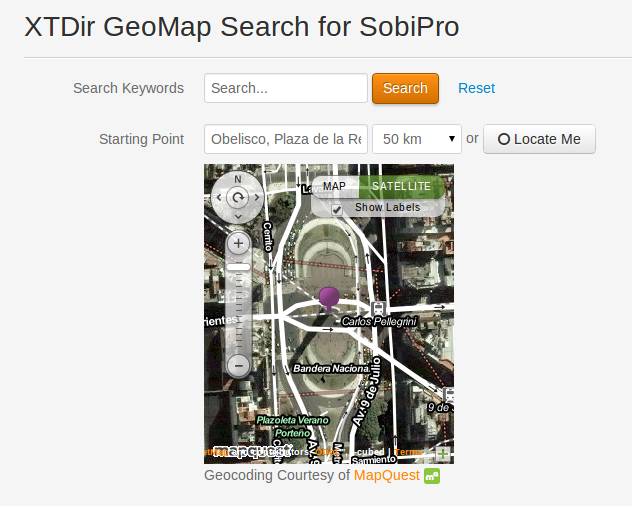 To show a GeoMap search form, a Proximity Search which lets the visitors search entries within the proximity of a given location. 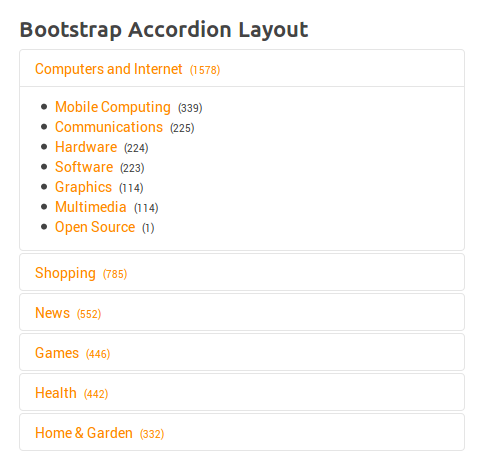 To show a list of entries in two amazing accordion widgets! 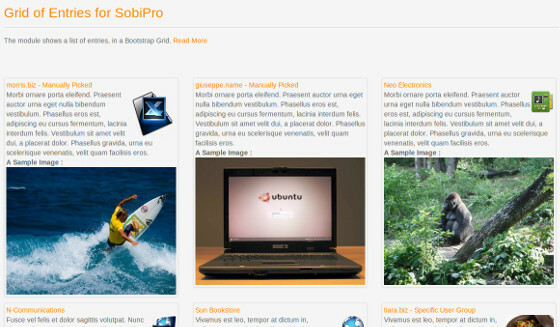 To show a list of SobiPro entries, in a dynamic and responsive Bootstrap Grid. 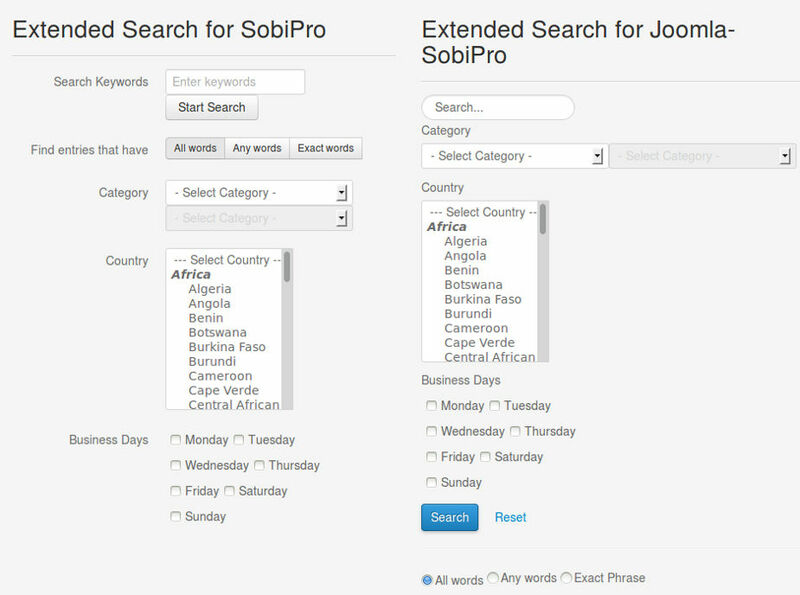 To show SobiPro Entries for the current user in a Joomla or SobiPro context! 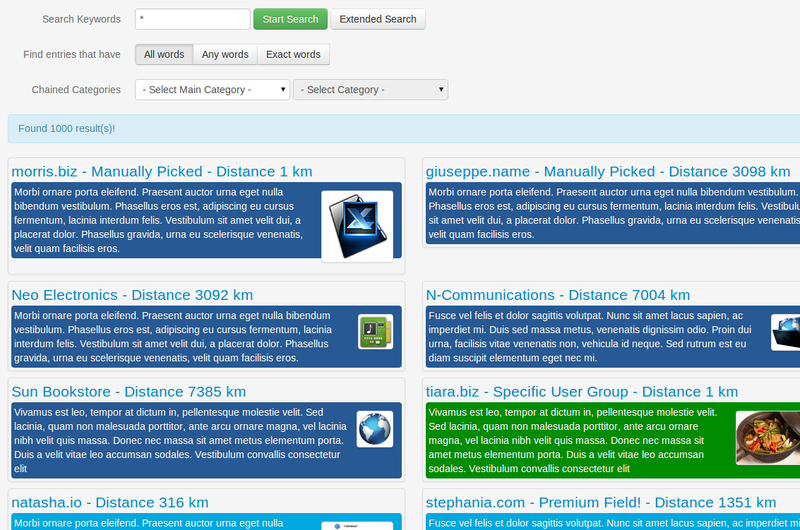 To support all search possibilities, modules to search into caterories or sections. 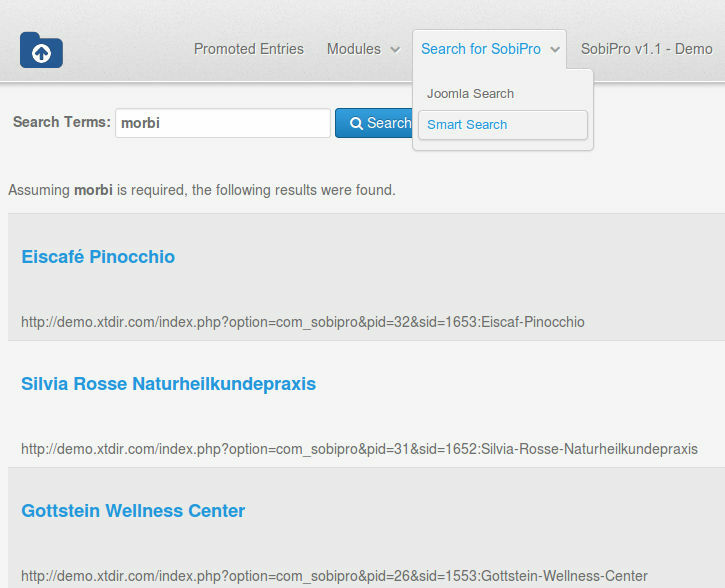 To integrate SobiPro catalogs in Joomla new smart search technology. Modules to display Entries Statistics in front and back-end site. 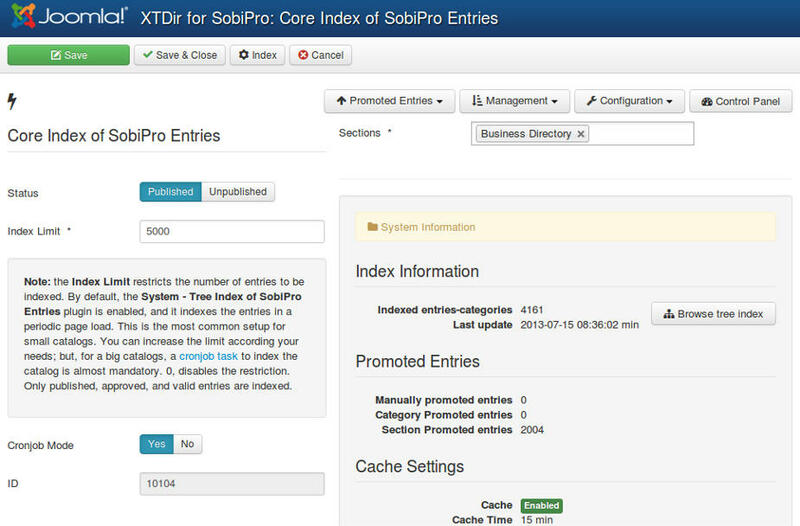 In these examples, you can check how XTDir extends SobiPro. 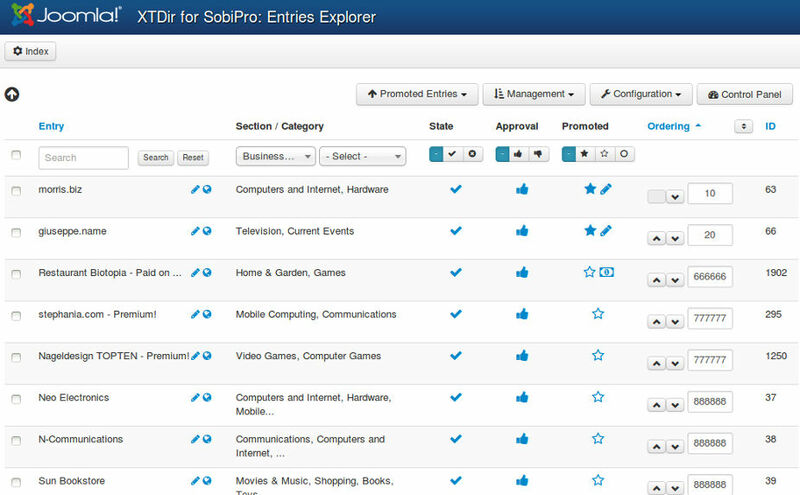 Please, check it here in the demo site http://demo.extly.com, where you can find a SobiPro v1.1 business directory, with 5.000 more entries to fill the catalog, extended with all XTDir features. 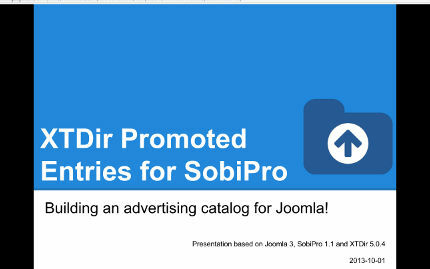 Tutorial: XTDir Promoted Entries - Building an advertising catalog for Joomla! 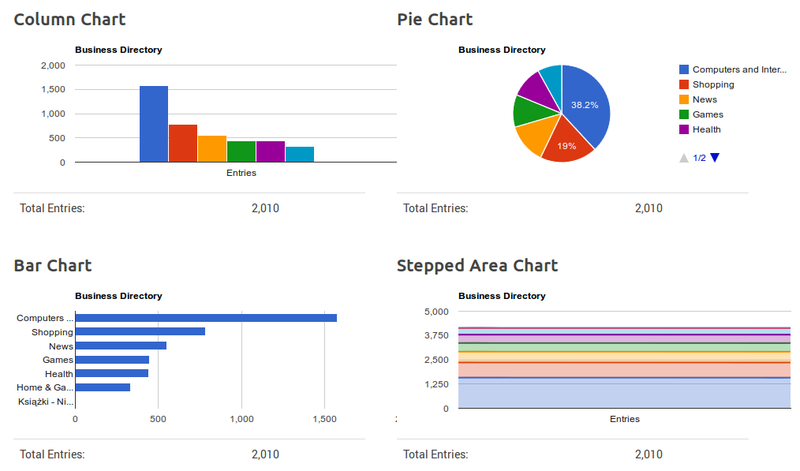 The image show 2-Levels of chained categories, with statistics enabled. 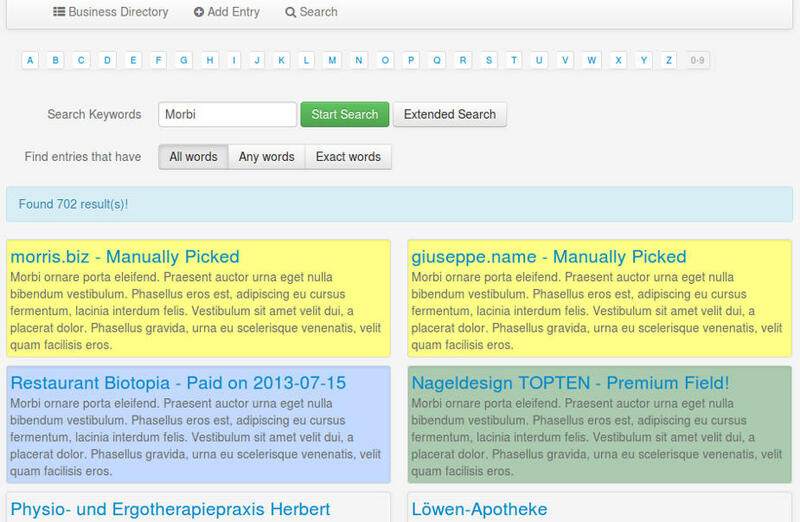 Grid of Entries Module, show a list of SobiPro entries, in a dynamic and responsive Bootstrap Grid. 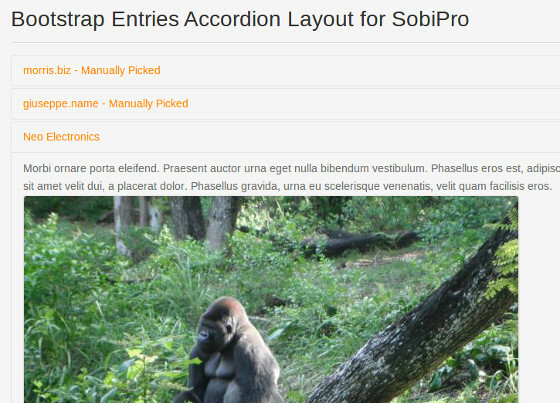 My Entries Module, show SobiPro Entries for the current user in a Joomla or SobiPro context! 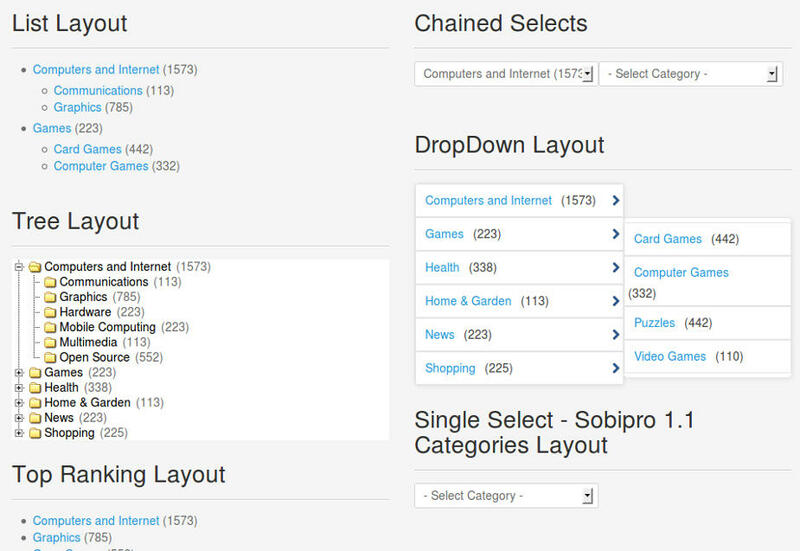 SobiPro Chained Categories Search control, SobiPro application to replace the original category select with a chained selects control. 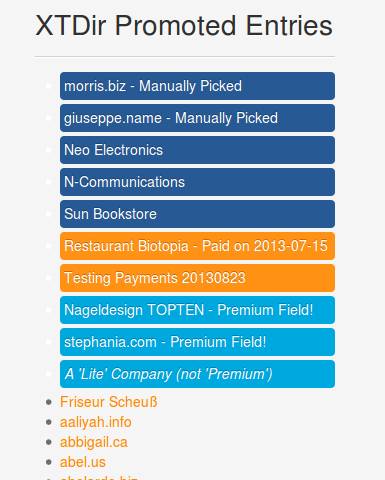 Support for big catalogs with cronjob indexing tasks. Support for Statistics & Index information. E.g. 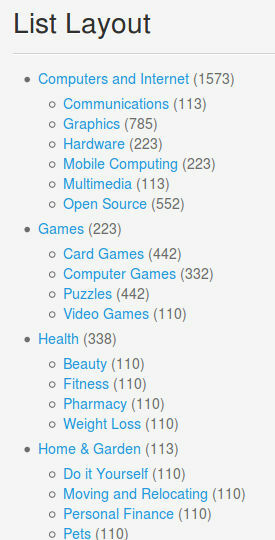 to display the number of entries in a category. Router App (Beta) - URLs without Numbers. 5 stars - " Wow! is the best word for describing these fine folks!" by Colin Girard The product is excellent! The support is Phenomenal! I have used many extensions with varying levels of support. The extly crew is top notch!! 5 stars - " Best support and product out there"	by Taariq Joomla Well what I can say about the best support ever, I had an issue on my live site. I opened an urgent ticket and got a reply in 5 min, yes 5 min. In the 30 minutes to follow I had 4 reply’s immediately and mY issue was resolved. Thank you to the team and the best support and product out their. Well done keep it up….